Walther CPA Newsletter September 2018 – Walther Partners Inc.
First a sales tax permit is required, it’s against the law to collect sales tax without one. If your business has a physical location (or locations), you’ll need to configure your checkout system to charge the appropriate sales tax for each location. You can file your taxes and submit your payments online with each state, but be sure to check the requirements. Depending on the size of your business, or how much revenue you have in a particular state, you might have to file monthly or quarterly. If you collect very little tax, you might only need to file once a year. But even if you don’t collect any tax for a given period, in many states you still need to file. Some states offer a discount if you file on time. Taking a chance and stepping beyond the safety of the world we've always known is the only way to grow . Virtual currencies are created by “mining,” in which the miner, using powerful computers, authenticates a transaction in the blockchain, a digital ledger of transactions. Besides bitcoin, the most familiar virtual currency, hundreds of others have been created, with more appearing all the time. Digital currency can be traded on third-party digital trading platforms such as Coinbase, used as payment for goods and services, held for investment, and loaned to others. Although IRS guidance on virtual currency is sparse, Notice 2014-21 lays out some ground rules. 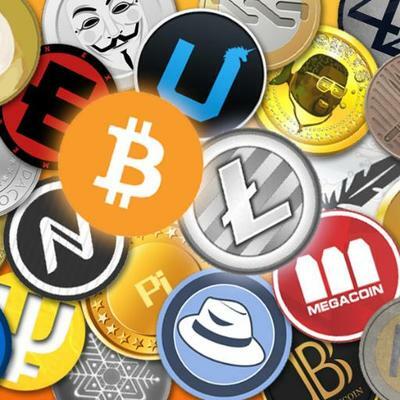 Chief among them is that virtual currency is treated as property for tax purposes, and transactions involving virtual currency are governed by the general tax principles for property transactions. When paid as employee compensation, the fair market value (FMV) of the virtual currency (at the time it is paid) must be included in the employee’s W-2 wages, and the employer must withhold income and employment taxes. Similar rules apply when virtual currency is received as payment for services provided as an independent contractor. In Lender Management LLC, T.C. Memo. 2017-246, the Tax Court concluded that a taxpayer was engaged in the trade or business of providing investment management services and, therefore, could benefit from having its expenses treated as fully deductible business expenses under Sec. 162 rather than being treated as expenses for the production of income under Sec. 212 subject to the Sec. 67(a) 2%-of-adjusted-gross-income floor for miscellaneous itemized deductions. The court ruled that the operations of the company consisted of activities that were beyond those of an investor even though the clients it provided investment management services to were primarily family entities, and its primary source of income was an allocation of profits (i.e., an incentive allocation, or carried interest) from various partnerships to which it provided these services. 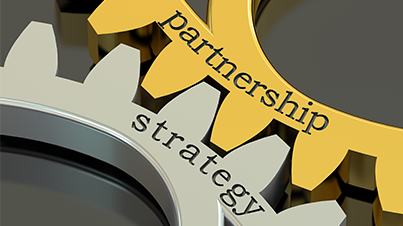 During the years covered in the case (2010-2012), Lender Management provided direct management services to three limited liability companies (LLCs) taxed as partnerships for federal income tax purposes. The only members in these three LLCs were the families. Each LLC had a distinct investment strategy, with one investing in private equities, one investing in public equities, and the third investing in hedge funds. The end-level owners of the three LLCs were, in all cases, children, grandchildren, or great-grandchildren. Given the familial relationship of the owners of Lender Management and the investors of the investment LLCs, the court reviewed the economic arrangement between the entities with a heightened scrutiny. Specifically, the court examined whether the arrangement was a bona fide business relationship or an arrangement due to the familial relationship. Applying this heightened scrutiny, the court noted: (1) There was no requirement or understanding that Lender Management would remain the manager of the assets held by the LLCs indefinitely; (2) investors could withdraw their individual money at any time (subject to the LLC’s liquidity restrictions); (3) Keith, as one of the investors in the LLCs, would still have benefited from the investment returns of ownership of the LLCs if he did not work for Lender Management, and any additional income to him was due to the services he provided to Lender Management; and (4) while each investor was a member of the Lender family, the members did not act collectively and, in some cases, did not know each other or were in conflict with each other. The Tax Court found that even though the investors were all members of the Lender family, Lender Management provided investment advisory services and managed investments for each of its clients individually. Ultimately, the Tax Court held that the activities of Lender Management rose to the level of a trade or business, and it was entitled to deduct its expenses under Sec. 162. Lender Management affirms the position that an investment adviser can be in a trade or business even if the primary source of its income is from the allocation of profits from underlying managed partnerships. In considering these structures, it is critical that taxpayers and their advisers consider the specific facts and circumstances of each particular situation for the structure to be respected.